On the eve before a group plans to picket the home of Mark Redwine, the father of missing Dylan Redwine, I decided to go back and look at some facts on this case. 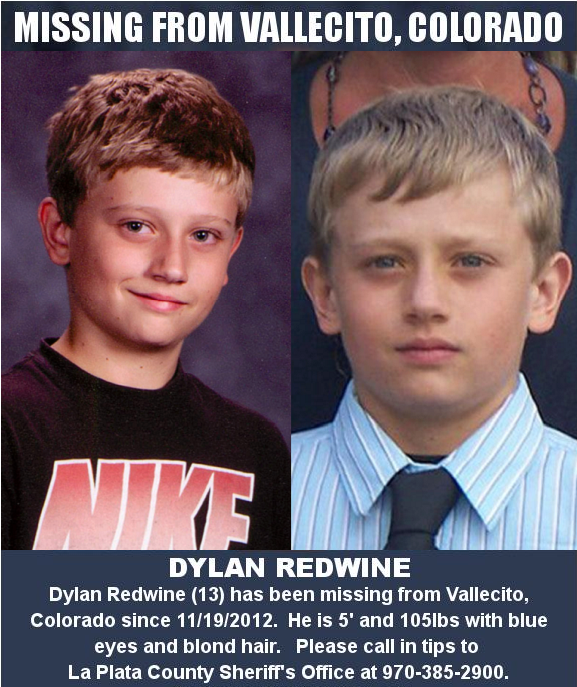 Dylan was last seen on Nov. 19, 2012 by his father when he left to run errands that morning. Dylan had just flown in from Colorado Springs to visit his dad during the Thanksgiving school break. Mark had agreed to take Dylan to visit his friends that day, but he stated that Dylan didn’t get up so he left him sleeping on the couch. When he returned around 11:30, the TV was on the Nickelodeon channel, a bowl of cereal was in the sink, and there was no Dylan. When the police became involved in the case and the subsequent weeks afterwards, information surfaced that shined a bad light on Mark. Many were questioning why he was not appearing at vigils for Dylan and questioned his story about what happened, even going so far as to say that Dylan never made it back to the home. 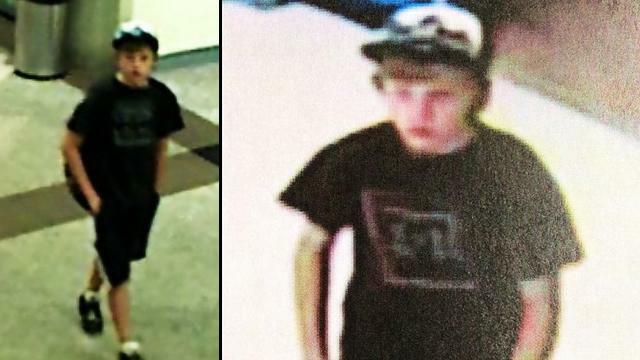 There is no doubt that Dylan was with his dad when he got off the plane as the police have verified that Dylan and his dad went to a local McDonald’s and Walmart. Whether he actually made it to the house is still being verified. 5:46 p.m. Dylan arrived at Durango-La Plata airport. 9:37 p.m. Dylan’s last text to his friends. Information surfaced in December that Mark was ticketed for child abuse, menacing trespass, assault and disorderly conduct in 2003 in Adams County. After reading this, you couldn’t help but wonder if Mark was hiding his calm, low-key, almost shy personality, that he showed in his TV interviews early after Dylan disappeared. But, upon further investigating it was found that the charges did not stem from something he had done to his children, it was between a neighbor and him. Evidently, Mark got mad after the neighbor’s kid broke a toy truck that belonged to Dylan. They argued on the neighbors property and after Mark left, the neighbor called the police. The charges were dropped except for the disorderly conduct which Redwine plead guilty to. Elaine continued to tell Nancy Grace it was, “Uncharacteristic that he wouldn’t have woken up early that morning to get a ride 45 minutes into town to see his friends. This comment is contradictory to what Mark Redwine said in December about Dylan’s personality. When Mark says, “He meant everything to me” during that interview it disturbs me because of his use of past tense, “meant”. Try using it yourself when talking about your child, or a passing loved one. There is a great difference in the use of the word, especially emotionally, whether they are dead or alive. “He means everything to me.” “He meant everything to me.” When someone is missing, when does the word change from means to meant? So, it is a little sketchy whether Mark did take a polygraph test. Then I read that Cory posted on Facebook on Wednesday that his dad did NOT take a polygraph test. “Hey everybody so this weekend is simply a protest to put pressure on mark. I want it to be peaceful and certainly not be a mob. This is all to find Dylan and not to bring any negative image to the people who care about him but most of all to Dylan. We just need to put pressure on the fact that mark hasn’t taken a polygraph and that no effort has been shown.” (Note that Cory is calling his dad by his first name). 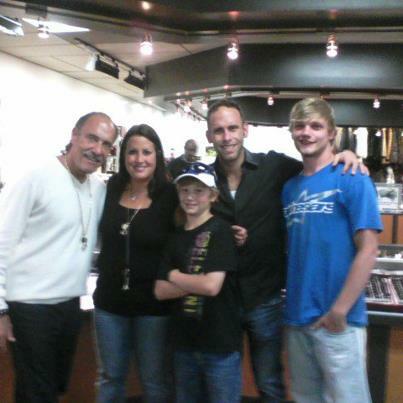 Mark also told a KOAT news crew in Dec. that he was in contact with his other son, Cory, Dylan’s brother, and his older son(unnamed) was actually in town with him to help look for Dylan, and they were uniting as a family. Somewhere along the line, after that December TV interview, Mark is no longer communicating with Cory. 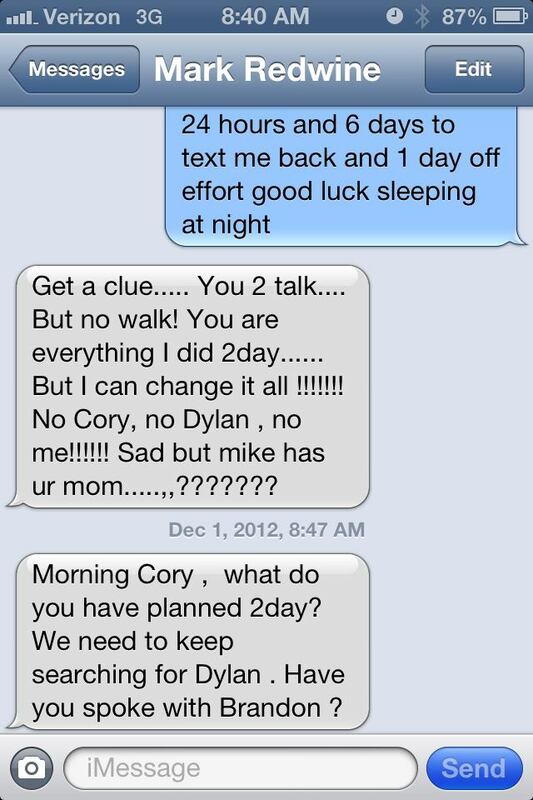 So much so, that Cory is angry enough to physically confront his dad. Since Mark learned that Cory is coming, along with a group of protesters he plans on not being there. “I’m concerned about rocks being thrown through my window, people out there crazy enough to bring weapons,” Mark told the Colorado Springs Gazette. Mark confesses there are ill-feelings between his ex-wife and son and feels THAT is the motivation behind Cory’s frustration. With that statement, it seems that the cause of Cory’s frustration is not clear to Mark, and he doesn’t know or won’t acknowledge that it is because he won’t answer Cory’s questions.